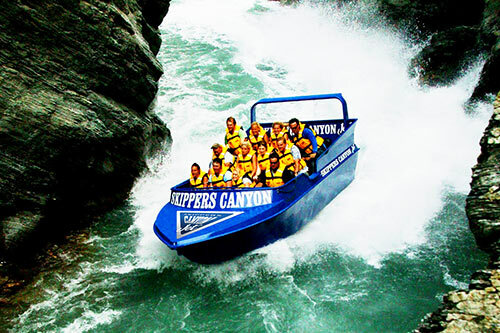 SKIPPERS CANYON SCENIC TOUR & JET COMBINES THE HISTORY AND THE SCENERY WITH THE JET BOAT RIDE. The Skippers Canyon Scenic Tour & Jet begins with a guided drive into historic Skippers Canyon via the infamous Skippers Canyon Road which was carved out of the vertical rock face by miners over 120yrs ago. With on board commentary from our knowledgeable drivers you will learn of the history of the area including the hardships endured by the miners who battled the harsh New Zealand conditions to extract gold from the richest gold bearing river in the world. You will also experience Lord of the Rings locations first hand. Once on the boat you will feel your adrenalin surge as you power deeper into Skippers Canyon through the dramatic canyons of the Shotover River. Our highly skilled jet boat drivers manoeuvre the boat just inches from the sheer canyon walls and keep the excitement levels high with speeds in excess of 80kmh and a series of full 360 degree spins. Skippers Canyon Jet Boat Tour is the only jet boat ride where you get to experience historic gold mining relics that still remain in the river and Lord of the Rings locations. After the jet boat ride you will be given an exclusive tour of Winky’s Museum set in the scenic surrounds of the Sainsbury Gold Claim, giving you an insight into the many techniques and types of equipment used by the miners as the area plays host to a vast array of relics that were used during the gold rush itself. Then after some complimentary refreshments it’s your chance to strike it rich by panning for your own gold. 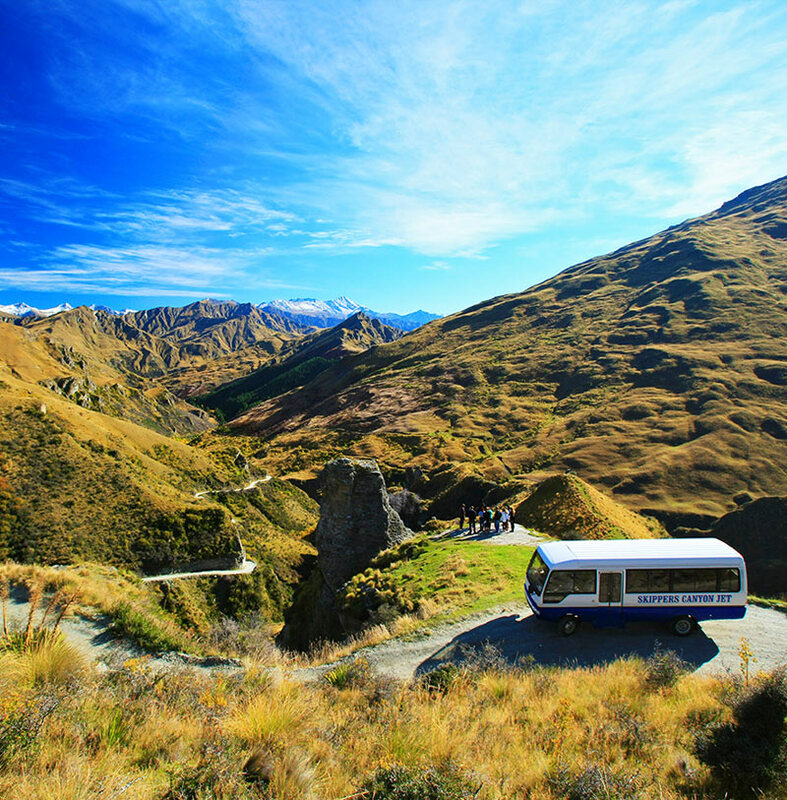 The Skippers Canyon Scenic Tour & Jet offers a great balance of stunning scenery, local history and the jet boat ride just a short drive from central Queenstown. 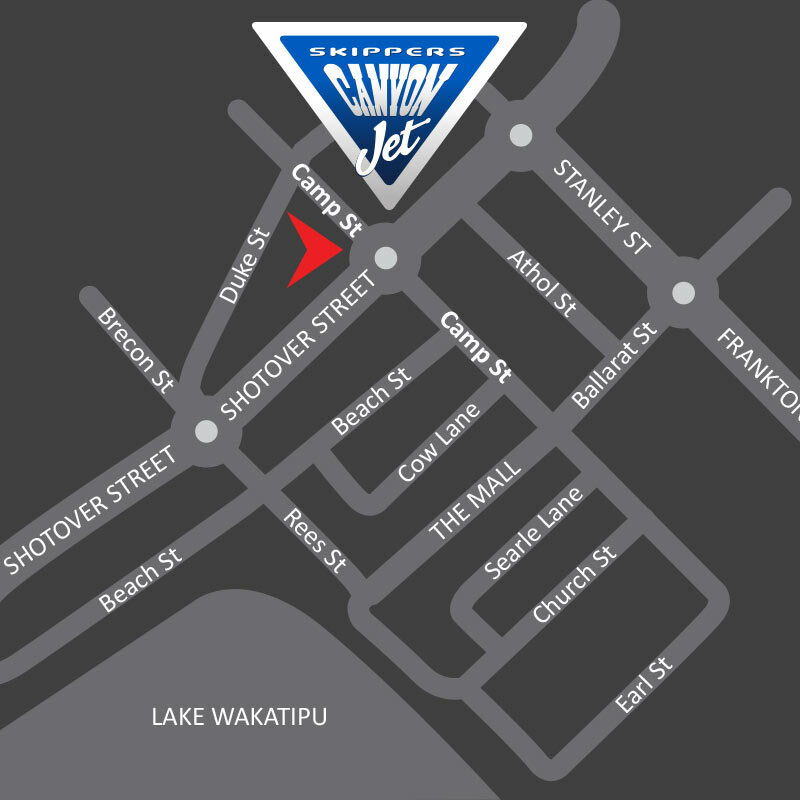 -From outside the Station Building on the corner of Shotover and Camp Streets or from your accommodation by prior arrangement. Allow 4.5hrs return from central Queenstown. 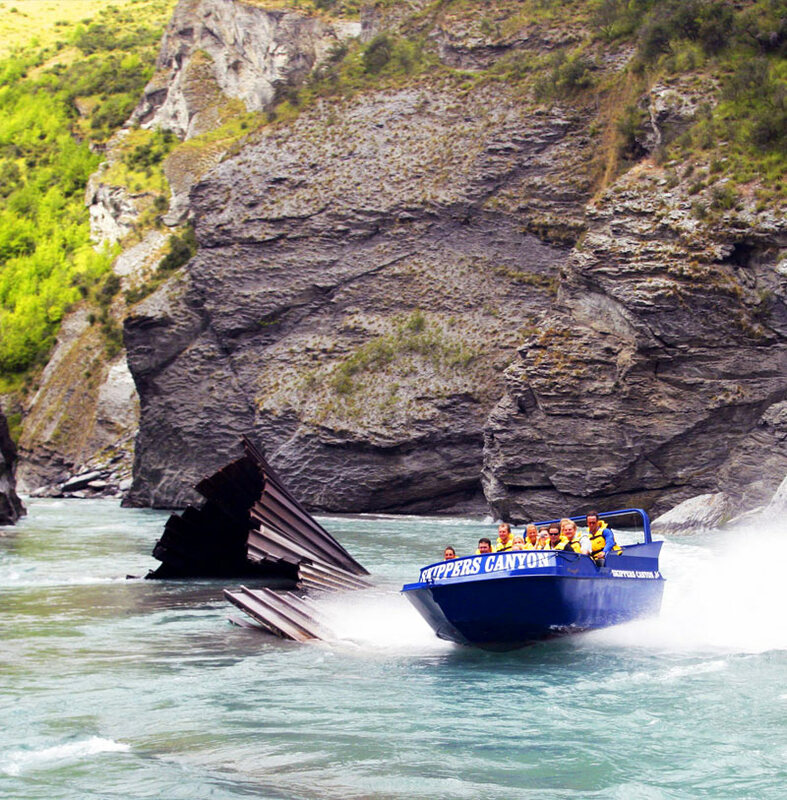 -30 minute jet boating experience on the upper Shotover River. -Spray jackets and life jackets for the jet boat trip.